We are veterans who volunteer our time to recognize departed veterans and retirees with military honors at Ft. Logan National Cemetery and other local cemeteries. Come honor your military Brothers and Sisters! Join our Team! Donations are gratefully accepted to maintain the weapons and purchase uniforms for our volunteers. Unless specified, all donations will be divided among all teams. 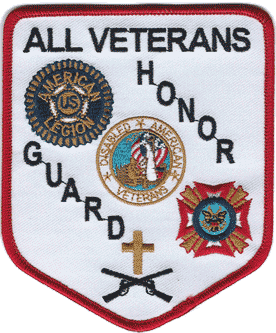 Members of the Veterans of Foreign Wars or American Legion may join. Use our contact form to request more information.